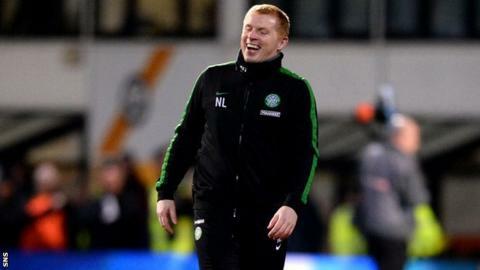 Celtic boss Neil Lennon has been awarded the Scottish Premiership manager of the month for March. It comes after Lennon guided Celtic to their third league title in a row with a 5-1 win at Partick Thistle. The Parkhead side secured four wins out of five in the Premiership during March, scoring 17 goals along the way and only conceding twice. They only dropped points to Ross County in a 1-1 draw at Celtic Park last weekend. On Friday, Celtic's teenage midfielder Liam Henderson won the Scottish Professional Football League young player of the month award.